Novara SP-16-AX-TR-US AxLink Series KeyPads feature a 16-button layout, integrated AxLink interface and fit 3-gang US conduit boxes. 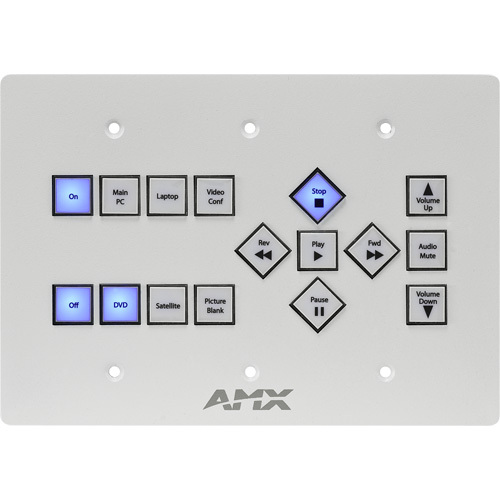 These KeyPads are extremely versatile in that they can be used as support devices to extend control of Novara ControlPads as satellite KeyPads or they can be used to directly interface with NetLinx Controllers. For added convenience, your AxLink connection also powers your KeyPad, thus reducing the need for an external power supply.